The Marian Option - God’s Solution to a Civilization in Crisis by Dr Carrie Gress. The theme of a crisis in modern culture seems to be resonating in more than just Christian circles at the moment. Rod Dreher’s Benedict Option book, published this March, is in the New York Times bestseller list, and I saw articles about it this past week in the Spectator in the UK, and the New Yorker magazine. The book was written to capture the spirit of the huge response to an idea that he first aired in a column several years ago; it is interesting, if surprising, that the latest packaging of the idea has caught the imagination of more than just traditionalist Catholics. One lesson I take from this wider popularity is that modern secular culture does not satisfy, and now even its adherents are starting to realize it. What they seek as an answer to how they feel about modern life, it seems, is mysticism, something that speaks of a life beyond this world. Until now, this need was being serviced for many by Eastern mysticism packaged in a cellophane-wrapped bundle of New Age syncretism, in which each person selects their own take-home combination of practices from the spiritual buffet on offer in the self-help section of the local bookstore. The fact that now, even the Christian mysticism that Dreher is directing people to, or the idea of it at least, can spark such mainstream interest, suggests that perhaps the false solutions so popular in the past 50 years are beginning to reach their sell-by date. If so, this is heartening! I am a Benedictine Oblate and so very open to the idea of harnessing Benedictine spirituality in lay communities; if it can serve as a force for cultural renewal in the face of a hostile neo-pagan culture, I say whatever works, do it. However, I would rather take a broader view of history in considering what else the past has to tell us about how we might achieve this desired end. My analysis of history says that Christianity can spread spectacularly well in cities and towns and in the face of a hostile culture - such as Roman “paleo-pagan” culture - through parish communities. Therefore, I would like to see ideas that seek to build up parish life pursued at least as energetically as those that seem to advocate a retreat from modern culture, such as Dreher's monastic-community option. This is because I believe that for most Christians, the parish is the natural church community, and that most people have no other option anyway, because they live in cities and towns where only parish churches are available to them. Most people are not free to move so that they live close to a Benedictine monastery. Part of the lesson of the success of Rod Dreher’s book is that we should aim to make local parishes centers of Christian mysticism once again. When the local parish is the place to find Christian mysticism, then people will buy what we are selling, so to speak; this, if they can see that it gives joy to those who participate, and is permeated by a spirit of Christian charity, which genuine Christian mysticism always would be. My article about a possible rule of the parish community, An Apostolic Blueprint for Parish Life, was one thought about how this might happen. I am not pessimistic about the power of a genuine Christian culture to attract people, even those initially hostile to the Faith, when it speaks of authentic Christianity; I believe also that it can be established in the midst of society in which an active and hostile culture predominates. This idea of best practices was behind my own thoughts last spring when I started looking at the BenOp. The best practices approach to Christianity, evangelization, and civilizational transformation seemed to be embodied in the person and life of Pope Saint John Paul II. This was a man who lived most of his life under Christian persecution – first with the Nazis, and then with the Soviets. Not only did he function through daily life under such pressure, but he lived his Catholic faith in such a way that it burst forth and transformed the lives and hearts of millions. While I know Gallagher was referring to a more nuts-and-bolts type of practices, there is a strong case to be made for the fact that The Marian Option — allowing Mary and her Son to be at the center of our lives — is the best practice for every struggle we currently face. And in fact, after two thousand years of Christian history, there is overwhelming evidence that The Marian Option works exceedingly well — and not just for Polish popes. 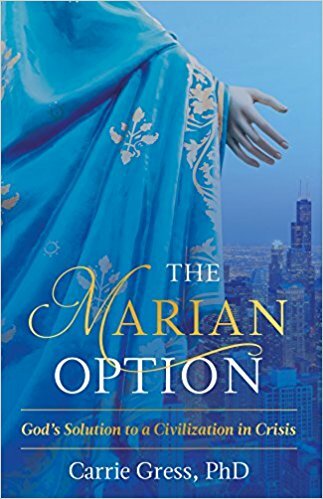 She describes in this book, in her elegant and readable writing style, how through history, devotion to Mary has played such a large part in cultural regeneration in the past, and she suggests how it could happen again in the future. Gress’ book urges us to play our part by going on an interior journey inspired by the spirituality of so many Saints of the past. I like this idea especially because it tells us first to look at ourselves for an answer to our problems. It is through personal transformation that we might see, in turn, a change in parish communities and wider society. 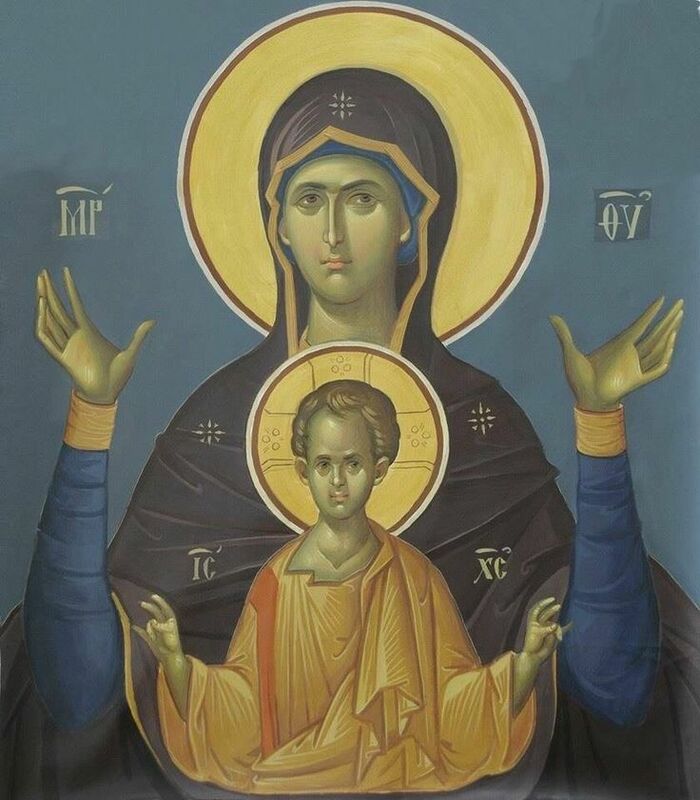 A true devotion to Mary, I suggest, is one in which we allow her to direct us to her Son and through Him to the worship of the Father in the Spirit. 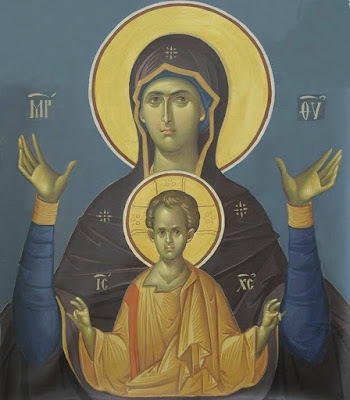 To my mind this must mean that our Marian devotion has at its heart a the celebration of the Marian feasts in the Church’s year through participation in the Sacred Liturgy - the Mass or Divine Liturgy and the Divine Office. Devotions and personal prayer must play a part too, in such a way that they are harmonized with, derived from, and point to this liturgical piety. I hope that by reading Dr Gress’ book some will be inspired to just that.